NEWPORT PROFESSIONAL FIREFIGHTERS LOCAL 45 I.A.F.F. Newport Professional Firefighters Local 45 IAFF shared a photo. CONVENTION T-SHIRTS - are now available for ordering. Orders must be placed by April 25th. PUB CRAWL – May 13th starting at 6 P.M. – Everyone is welcome (over the age of 21). $25 (+$2 for size 2XL/+$4 for size 3XL) - gets you an awesome T-Shirt & 7 beer chips! Orders must be placed by April 25th to get this deal! Anna Rice ! Here’s how you can do it ! 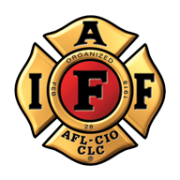 Newport Professional Firefighters Local 45 IAFF is with Kpff Firstdistrict Page. Much needed “save a back” equipment. Monday, May 13th, Local 45 is hosting a Pub Crawl and ALL are welcome to join in the festivities! PRE-ORDERS: $25 (+ $2 for size 2XL/+$4 for size 3XL) - gets you an awesome T-Shirt & 7 (yes, we said seven) beer chips! Orders must be placed by April 30th to get this deal! 2018 Newport Professional Firefighters Local 45 I.A.F.F.